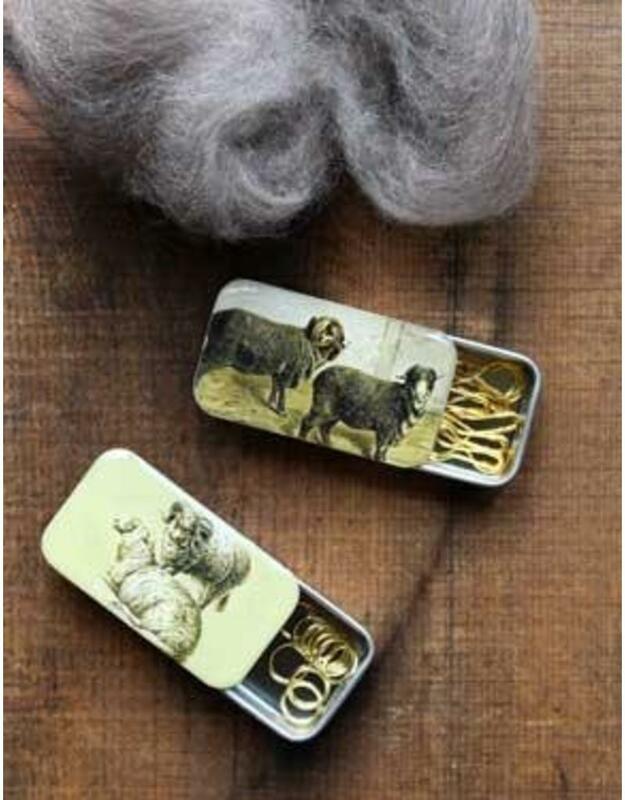 These sweet pill box, slider tins feature vintage sheep prints covered in hand-poured resin. 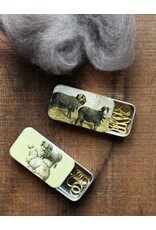 Perfect for keeping stitch markers organized, this is a wonderful addition to your knitting bag. 10 Silver Ring Stitch markers included.